Following months of coordinated effort the much-anticipated rejuvenation of the Electronic Components Pty Ltd website is here! Our new website better reflects the needs of our customers and other stakeholders with a result that is a clean, fresh site with the most popular webpages within easy reach for our clients and the wider community. With the recent acquisition of “L E Agencies”, our addition of new products and new customer-focused services we are in the midst of positive and constant change. We wanted our new site to reflect the changes and provide a venue to show the value that we add to our customers. We realised that a simple change in logo and colour scheme was not sufficient. A complete overhaul of our website was therefore implemented with new features including “Part Number Search” with Online Inventory Checks , “Company News”, “Online RFQs” and more information on our company, products and services. Simultaneous to the launch of our new site (and reflected in the content of our new site) we are also launching changes to our business policies such as our new 1-year warranty for all our products. 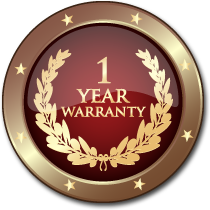 This new 1 year warranty policy leads the electronic components independent wholesale distribution industry. It is part of our efforts to increase the value and the security that we provide to customers purchasing our products and to demonstrate our confidence in the quality of the products that we provide. We hope our new site expresses a bit of who we are, what we are currently doing today and most importantly what we could do for you tomorrow. There are literally millions of different components that we can source for you at the best achievable prices. We hope that our new site provides an easy avenue for you to check on the availability of the products that we can supply or design for you. Browse through our website, add us to your favourites. Hopefully it will inspire you. Use the site to contact us and we will help. Our online inventory is changing in real time and even if our search engine does not find your exact component or even if you do not have a specification (or part number) yet for your desired products – contact us and allow us to be your total solution partner. The website will of course continue to be updated regularly with the latest news, product information, and continual live-updates of the inventory databases that our new “Part Search” function utilises. Our website team will also be monitoring the new changes to make sure visitors find the new site as easy and intuitive to use as it’s been designed to be. We also welcome feedback – if you’d like to make a suggestion or comment, please contact us.